The Dalai Lama is in Sweden on a visit that from the beginning has been marked by controversy. Even before he touched down in Malmo, a group of distressed people were already waiting to meet him, seeking restitution for the sexual violations inflicted upon them by Tibetan personages close to the Dalai Lama and have come under his protection. Before the dust had even settled on that issue, the Dalai Lama sparked another furore that may yet tip over an already delicate and highly volatile issue – the immigration crisis and rising xenophobia in Europe. In addressing a conference in Malmo, Sweden, the Dalai Lama callously proclaimed that “…Europe belongs to Europeans” and that ultimately refugees should “develop their own country”. In other words, refugees should not be allowed to remain in European countries forever. 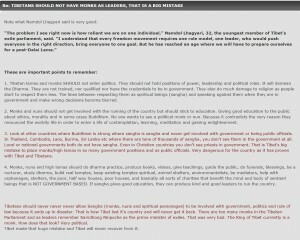 What the Dalai Lama said needs to be put into context to expose the tremendous harm his words will surely create. Malmo today is home to a large population of immigrants and refugees, and the Dalai Lama’s words come at a time when resentment against migrants and refugees are escalating in the European Union countries. The Dalai Lama’s statement directly targets an already disadvantaged and marginalized group of people facing increasing contempt by Europeans. 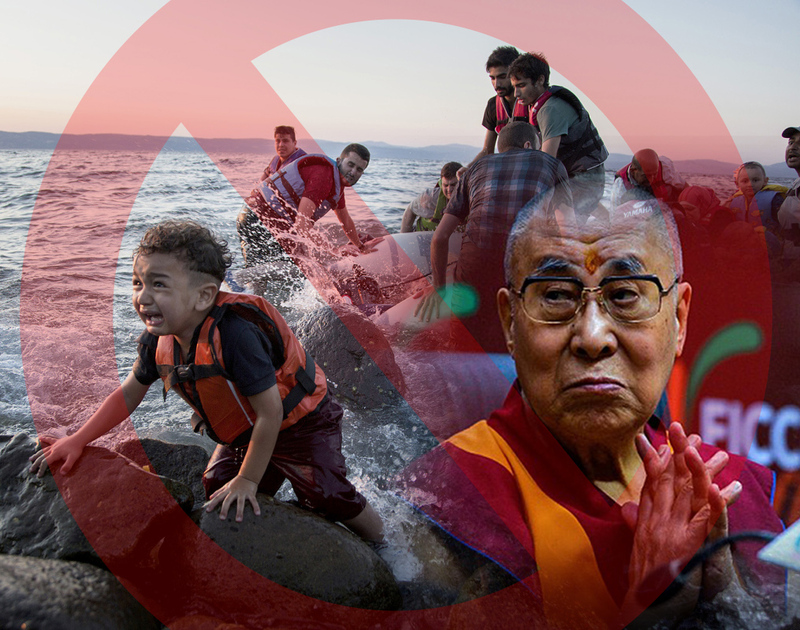 It does not matter if the Dalai Lama seems to start off his message in a benevolent tone by asking Europe to receive, help and educate refugees seeking asylum when his ultimate message is to deny these refugees the opportunity to establish new homes and lives in Europe. The Tibetan spiritual leader’s statement triggered angry responses, with one observer calling the Tibetan spiritual leader a “hypocrite” and “bootlicker”, and another calling him “a bigot of the first order”. Yet another felt his words and views were more aligned with those of “a neo-Nazi white supremacist”. 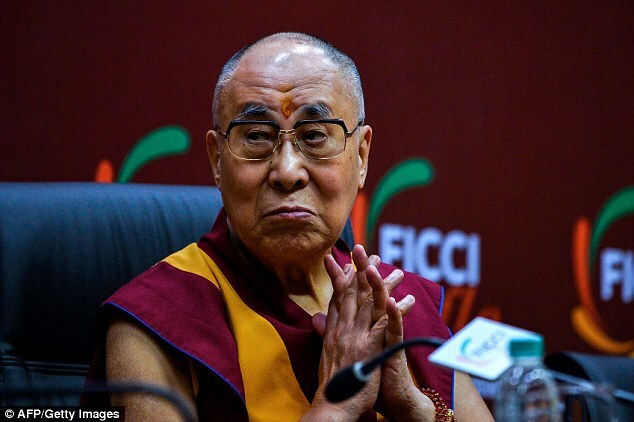 While it may appear inappropriate to tag a Nobel Laureate and a Buddhist monk with such adjectives, outrage towards the Dalai Lama is not without its own justification. Most migrants and refugees in Europe today come from war-torn countries such as Syria, Afghanistan, Iraq, Eritrea and Kosovo. Syria, for one, is a country that has persisted in a ruinous civil war that has witnessed a full inventory of war-related abominations including chemical weapons unleashed on innocent people. Virtually all of these refugees have suffered devastated lives, lost loved ones and many suffer crippling mental states due to trauma and severe stress. For these people, Europe represents a fresh start so it is shocking that the Tibetan spiritual leader, himself a refugee who has benefited significantly from the kindness of India and the people of the world, would deny the same kindness to others. This is even more surprising when you consider how the Dalai Lama goes along with the Tibetan people’s portrayal of their leader as a Buddha and the divine embodiment of compassion. When the Dalai Lama made the statement that refugees should develop a country of their own, he calls attention to the diaspora of Tibetan refugees, approximately 150,000 strong who have been in exile for the last 60 years. The Dalai Lama is their head and he has set up an exile government, the Central Tibetan Administration (CTA) in Dharamsala, North India. As refugees, the Tibetan people enjoy much more than others. To begin with, no other refugee group or displaced persons have been allowed to set up a “government” with its own political, legal and bureaucratic structures within the jurisdiction of another country. And yet, the Dalai Lama’s CTA regards itself as a legitimate Tibetan State and functions like one, with its own Parliament, Cabinet and even Judiciary. Most countries of the world extended diplomatic-level treatment to the CTA’s officials as well as the Dalai Lama. Across the globe, organizations and people of all races, creed, religion and nationality have donated countless millions of dollars to the ‘Tibetan cause’ over the past 60 years, again out of kindness. None of this however, has made any impact on how the Dalai Lama views others who have been similarly struck with the ravages of war and conflict. 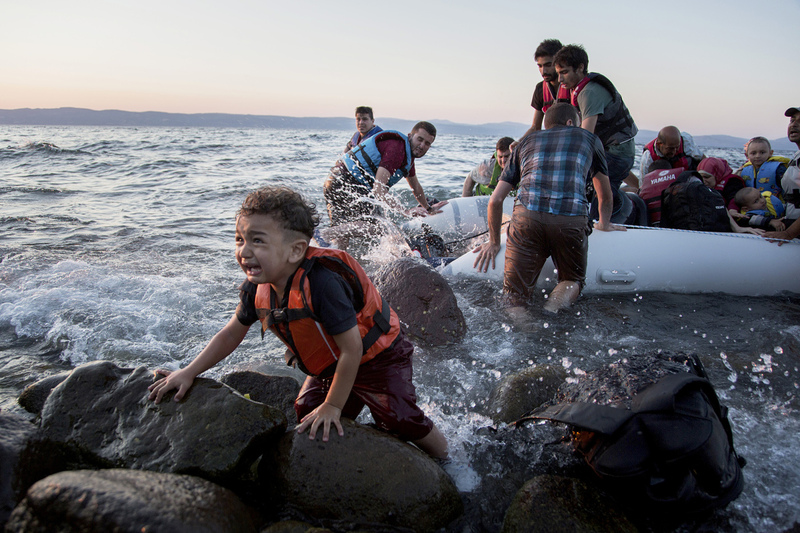 Syrian refugees looking for new lives in Europe. A far cry from the lavish homes of wealthy Tibetan refugees. 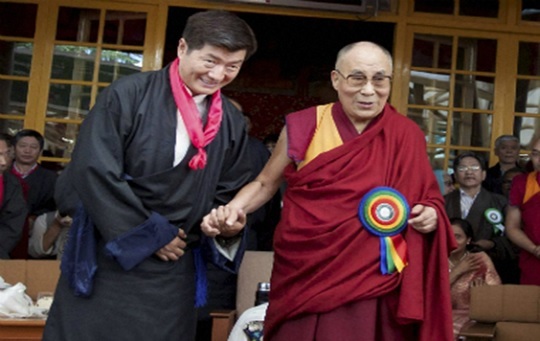 Members of the Tibetan diaspora, both in India and those scattered around the world, are also known to be some of the wealthiest in the world, even if the financial disparity between ordinary Tibetan refugees and those of the Dalai Lama’s inner circle is significant. While most Tibetan refugees take on casual jobs as waiters and kitchen hands, subsist with seasonal work as laborers or sweater sellers or otherwise eke out an existence with meager earnings from various cottage industries, there is an upper strata of Tibetans who hail from the ruling families and monastic elite of old feudalistic Tibet. 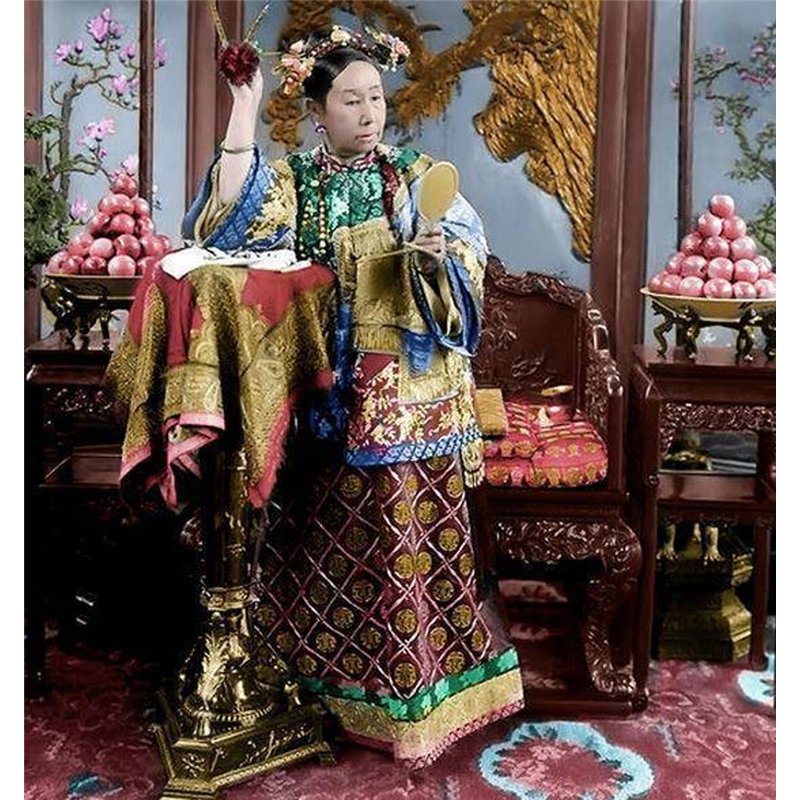 These are the Dalai Lama’s people who have largely retained the old tradition. These Tibetan ‘refugees’ are rich beyond imagination and occupy high positions in the CTA, controlling the CTA’s shadowy network of fund-raising agencies. The Dalai Lama himself makes approximately $20-25 million a year from book royalties and speaking engagements channelled through a series of tax-free structures, eventually ending up in his personal control. 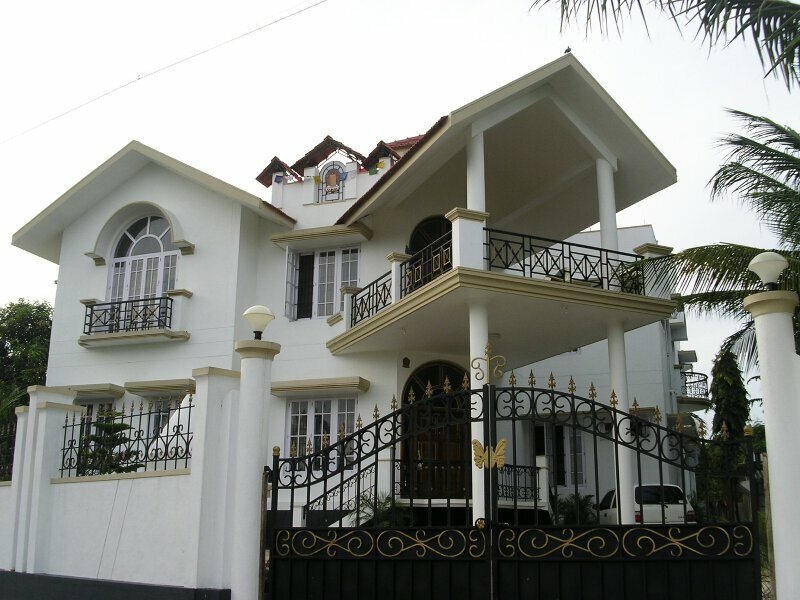 A house in Camp 4 at the Tibetan settlement of Bylakuppe, one of the largest in India. Take note of the colorful Tibetan prayer flags on the roof. Does this look like the home of a refugee? In the meantime, it is estimated that at least $50 million a year is generated by the many ‘Tibet centers’ around the world set up to spin the well-worn yarn of China’s oppression and the grievances of the Tibetan refugees. In truth, many Tibetans, especially officials in the CTA, have secured dual citizenships or permanent residency in Europe, the US, Canada and India. There are no other known refugees groups in the world with the wealth and privileges of the Dalai Lama’s people. At the same time, the CTA makes it taboo for ordinary Tibetan refugees to consider Indian citizenship which many are legally entitled to. These people are needed to maintain the façade of hardship that defines the Dalai Lama’s struggle. Therefore to label the Dalai Lama a hypocrite may be rude but is not void of the truth. The Dalai Lama will be hard-pressed to answer why he has failed to follow his own counsel and that even after 60 years, the Dalai Lama’s CTA has not sought to return to their homeland or develop their own country. Instead the CTA scuttles every opportunity for reconciliation with China that might actually result in the Tibetan people finally returning home, which the Dalai Lama said every refugee should aim to do. Neither has the Dalai Lama spoken against those who have moved out of the settlement camps in India to set up homes ashore. To the CTA, these people are ambassadors of the Tibetan struggle against China but the same view and treatment are not accorded to the refugees in Europe. The Dalai Lama’s Malmo statement does not make sense. What it does do however is expose his shrewdness as a politician. In recent years, there has been rising discontent towards existing immigration policies in various European Union (EU) countries. 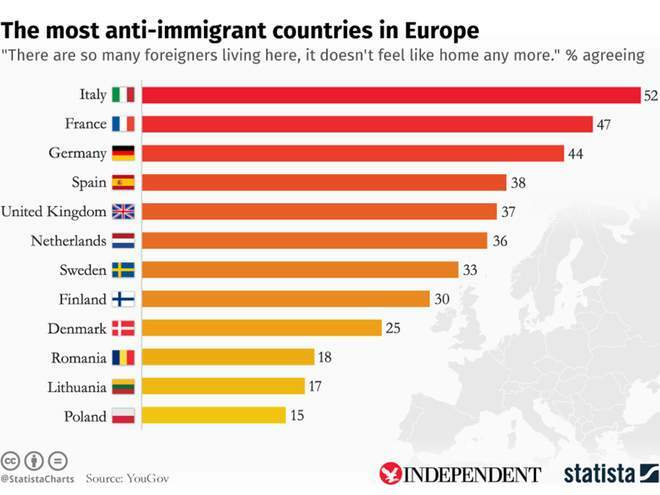 In Sweden, just like in Italy, Hungary, Austria, Poland, the Czech Republic and Slovenia, there is a surge in popularity of political parties that are anti-immigration. In the meantime, there is growing pressure on the incumbent governments of Germany, France and the United Kingdom to adopt anti-immigration and anti-refugee policies. In 2016 while visiting Germany, the Dalai Lama said that Germany should not become an Arab state, alluding to the significant population of immigrants to the country from Muslim countries. And it is this ultranationalistic and Islamophobic tune the Dalai Lama is playing and beckoning the people of Europe to dance to. The Dalai Lama’s racist statement against Muslims making Europe their home is extremely dangerous. For a man of peace and compassion who has made millions preaching the word of interfaith harmony, who has sold countless books based on that theme, and who has filled stadiums to preach peace to all brothers and sisters of the globe, it comes across as very strange that he is targeting Muslims. If the Dalai Lama’s logic is to be followed, it would not be remiss for anyone to say that America is for Americans, South America is for South Americans, Australia is for Australians, Asia is for Asians, and Africa is for Africans. According to the Dalai Lama’s logic and statement, Muslims should be the only religious group who are not allowed to migrate anywhere in the world, or to reside anywhere apart from their native lands and countries of origin. This is a very dangerous statement for the Dalai Lama to make because it seems as though he is targeting Muslims. If he is not, why does this shrewd diplomat not make any reference to any other refugees in Europe, for example his own Tibetan people who have been in Europe since the early 1960s and have been happily settled there for decades now? The Dalai Lama’s objective is plain enough. In recent years, popularity and support for the Dalai Lama and the Tibetan cause have waned. For instance, in 2017, Sweden announced that it would no longer recognize the CTA’s yellow book as a valid international travel document. This is tantamount to not recognizing the CTA as a legitimate body that can issue valid travel documents. Sweden was not the only one as an increasing list of nations began to sway away from the Tibetan Cause, primarily due to China’s far-reaching economic might and the unravelling image of the Tibetan leadership as one scandal after another erupts. The Dalai Lama has sparked outrage over his sexist and racist comments, and for his refusal to address sexual abuses by Tibetan Buddhist teachers. He has, in fact, even admitted to have known about the abuses for the last 25 years, making his inaction all the more disturbing. As the current European leadership realigns their priorities away from the Tibetans, the Dalai Lama’s chosen method to address this is to capitalize on the wave of ultranationalism sweeping across Europe, stoking resentment towards existing European governments who have backed away from openly supporting the Dalai Lama’s political agenda. Doing so would again enamor the European people, eager for a shift in immigration policies, to the Dalai Lama. In addition, changes in European governments would provide the Dalai Lama with opportunities to build fresh alliances. 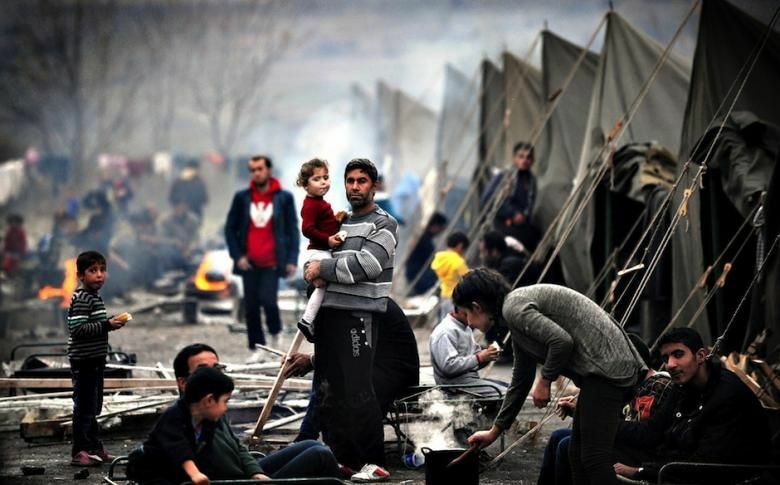 The attrition is of course the lives of the helpless refugees hoping to rebuild broken lives. It also does not matter that the spiritual leader’s words would create enmity towards refugees and immigrants who have already settled in Europe. Clearly when it comes down to a choice between humanity and compassion or political agenda, the latter wins hands down. This should not be a shock to anyone because the history of Tibet shows the Dalai Lamas to be feudal theocrats who wield religion as powerful instruments of control and influence. The Dalai Lama’s use of Buddhism to serve his politics is also visible in the Dorje Shugden conflict, which the Dalai Lama ignited in 1996 and the CTA has executed since. 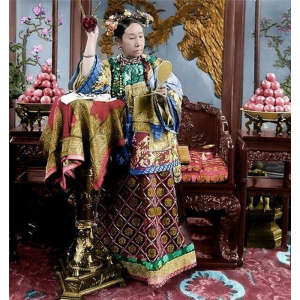 The Dorje Shugden conflict deeply divided the Tibetan community and in that way, the Dalai Lama has been able to control the Tibetan people more thoroughly than any other Dalai Lama before him, pitting one group against the other. The Shugden conflict also presented the Dalai Lama and CTA with an alibi for the multiple failed promises made to the Tibetan people to return them to the homeland. Again, the moral and spiritual decay resulting from mixing politics and religion is deemed acceptable attrition. One angry reader accused the Dalai Lama of being a bigot while another referred to him as a ‘white supremacist’. Again, harsh words but one needs to explore if there is any truth behind such resentful words. The Dalai Lama’s advice is for Europe to deny immigrants and refugees a chance to rebuild their lives in Europe. Has it slipped the Dalai Lama’s mind that Europe continues to shelter Tibetan refugees? Perhaps European nations should stop accepting Tibetan refugees clamoring to leave India and start their lives anew in Europe. If Europe belongs to Europeans, would the same logic not apply to Asiatic and African countries? If so, then how come the Dalai Lama has not censured the European nations for its vicious and colonial past? Great Britain, France, Germany, Portugal, Italy, Spain, and the Netherlands were amongst some of the most brutal colonial powers that conquered and annexed militarily-weaker nations. 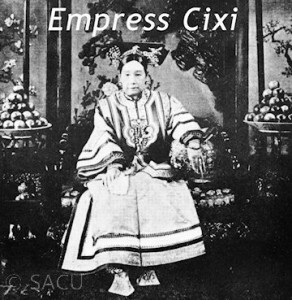 India, China, South East Asia and Africa fell prey to these conquests and were mute witnesses to their people becoming slaves, to the destruction of their cultures and to the criminalizing of their religions. The people who were conquered were forcibly anglicized. How come India, China and Africa were not allowed to remain as they were, unmolested? How come the Aborigines of Australasia were not entitled to retain their identity and culture? How come the Natives of the Americas were denied the right to their lands and way of life? Why does the Dalai Lama not address these issues and instead advocate only for pure European nations? Are Asian and African people not also entitled to be themselves? And as one critic pointed out, the Dalai Lama neglects the simple fact that some European nations have an active role in conflicts around the world that have turned ordinary people into refugees. Today the most aggressive imperialist country in the world is the United States of America, which the Dalai Lama regards as a friend and an ally. At the same time, the US has directly and indirectly initiated armed conflicts in the Middle East and around the world, and yet the Dalai Lama has not once condemned the USA or indeed any other European nation. Since Europe belongs to Europeans, should the thousands of Tibetans settled in Switzerland, Germany, France, Italy, England and so on return back to India or perhaps China? Why is it that the Dalai Lama only targets certain refugees to say that they are not allowed to stay in Europe? Why does he make an exception for his own Tibetan people? Why are the Tibetans allowed to stay in Europe and make Europe their home, he should be asked? Why the double standard? Perhaps Europe should start deporting all the Tibetans out of Europe since they are not Europeans and they do not belong there. The Dalai Lama and his Tibetans should get a taste of his own racist xenophobic statements. Remember, according to the Dalai Lama, Europe is for Europeans. So let us enact the Dalai Lama’s new immigration policy for Europe by immediately deporting Tibetans from Europe now. 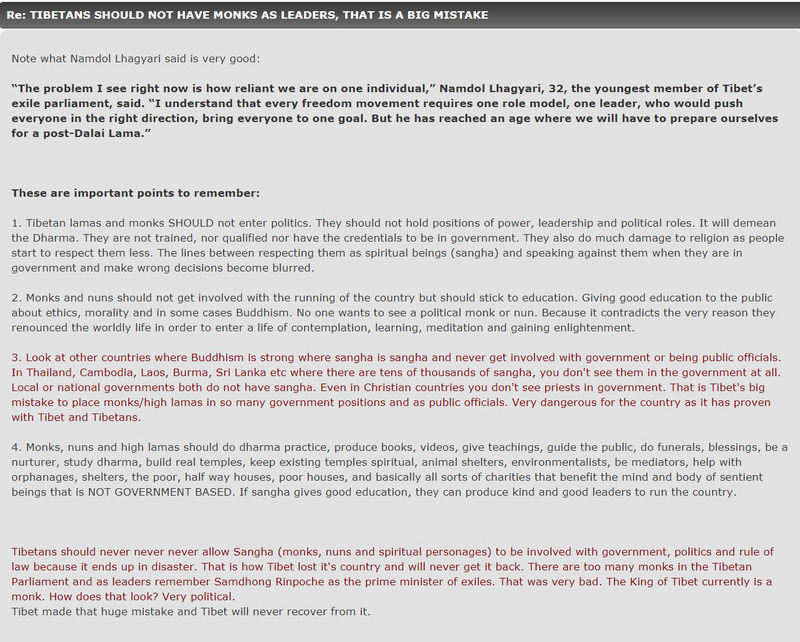 The reality is, the Dalai Lama’s words betray the true character of the Tibetan leadership. Not so much the guardians of Shangri-La or some sort of utopic paradise, but more an oppressor of the people. Today the CTA proclaims that it is a democracy but its highest law, the Tibetan Constitution, exposes this deception. Everything in the Tibetan Constitution reads like ultimate power is vested in the people and it appears to be so, if not for the few lines that says that every law promulgated by the Constitution is in fact subject to the will of the Dalai Lama, the god and king of the Tibetan people, the consummate politician and the autocrat who has held on to power longer than any living monarch, dictator, despot, Prime Minister and President of any government in the world. What is more, the reign of the Dalai Lama is not limited by borders nor can any international law contain the Dalai Lama’s influence and reach. So powerful is the Dalai Lama that his government can even proclaim citizens of other nations to be criminals and authorize what is effectively a campaign against the worshippers of a religion operating well within the laws of a country. It is therefore nothing for the Dalai Lama to influence the immigration policies of Europe. Source: https://www.presstv.com/Detail/2018/09/15/574161/Dalai-Lama-refugee-crisis-Europe. Click to enlarge. 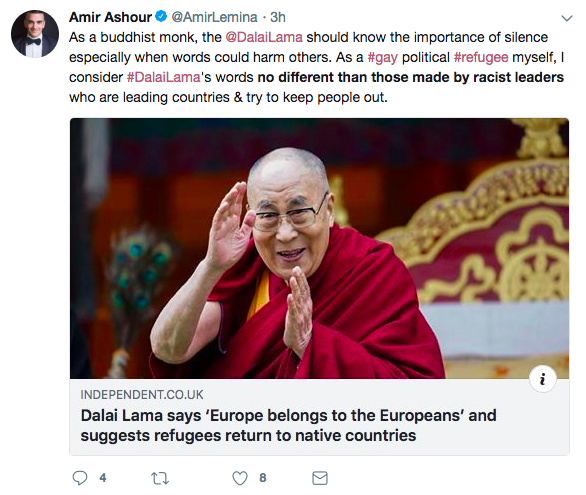 Source: https://www.inquisitr.com/5073839/dalai-lama-slammed-as-racist-white-supremacist-for-saying-europe-belongs-to-europeans/. Click to enlarge. The political statement the Dalai Lama made is getting more offensive and ridiculous. Before this incident in Sweden, the Dalai Lama has already made a very bad statement on Nehru in India and he didn’t learn from his lesson. In less than 2 months, he made another shocking statement in Europe. The Dalai Lama told the refugees in Europe to go back to their countries while he has been a refugee in India for the past 60 years. What gives him the right to say that? This has upset many people especially when the Dalai Lama is a Nobel Peace Prize laureate. He is supposed to promote peace and harmony but here he is creating tension between the host country and the refugees.